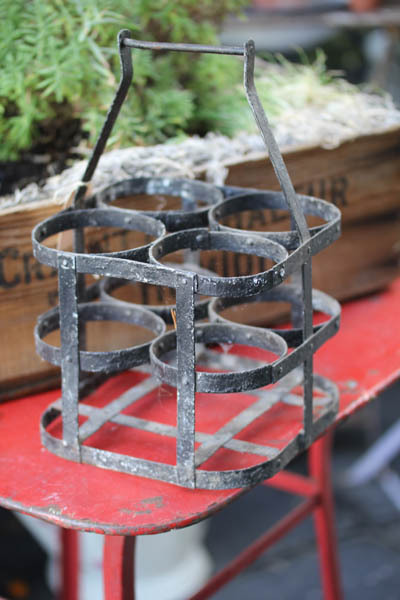 Antique wine or milk bottle holder holds 4 bottles. Metal handle; No prongs missing, broken or repaired. Wonderful original black color. Approx 8 1/4 x 8 1/4W x 12"H. Imported-France, circa 1940.